Laser Target Designator for Rifle Mounted. It is the best laser designator with a mounting system so tight and so solid that it will stay on zero shot after shot, with half of the price of the leading laser designators. It is more compact, more rugged and a lot brighter than its long time competitors. Hunting laser designator also referred to as a laser Illuminator or green laser flashlight. A laser designator is the equivalent of an extremely focused flashlight. The main difference being flashlights are typically powered by LED’s or Halogen bulbs. 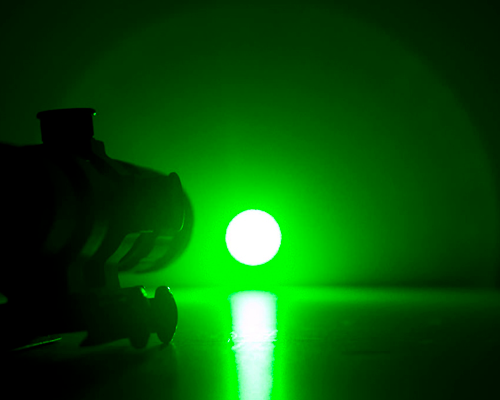 This hunting laser designator is powered by a 50mw Laser diode. 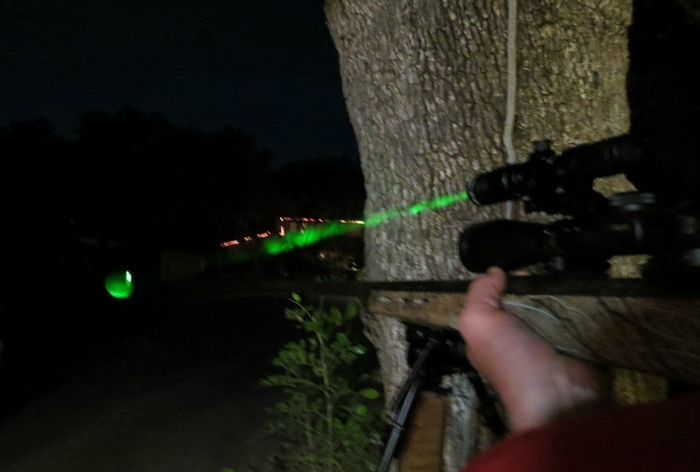 The result is an extremely far reaching green light that does not spook hogs, coyotes, bobcats, foxes, deer or racoons.Hogs and deer seem to not see the light at all, (we in no way suggest you can shoot deer at night), coyotes, racoons, foxes and bobcats seem “fascinated” by it. Often times, racoons, foxes and bobcats will acknowledge the light, pause and stare at it, and coyotes, on many occasions, will come to the light but seldom if ever run from it.